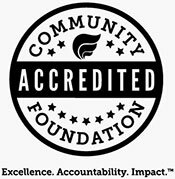 What does a Community Foundation help me do? Charitable giving may be done at a time and in a way that suits your personal goals and circumstances. The Community Foundation of Shelby County accepts many different types of gifts that help you fulfill your dreams and receive the best tax advantages. Some donors prefer to make current gifts during their lifetimes. Others feel that a deferred gift is best. Our staff can work with you and your financial or tax advisor. As with any gift to a charitable organization, gifts to the Community Foundation of Shelby County are irrevocable. We strongly encourage you to consult your tax advisor before making a sizable gift to ensure the contribution is made in a way most advantageous to your personal situation. 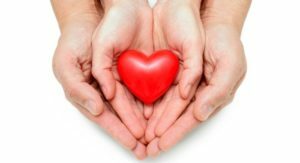 Regardless of the type of gift, we will send a charitable gift acknowledgment as substantiation to assist with your income tax filing. Checks should be made payable to ‘Community Foundation of Shelby County.’ Please identify the charitable fund to receive the gift by adding the fund name on the check’s memo line, in an accompanying note or on the Gift Form. Click here to view a list of funds. Typically, cash gifts are deductible up to 60 percent of your Adjusted Gross Income (AGI). Use a major credit card or your PayPal account to make a gift to any Community Foundation charitable fund. See the ‘Donate’ button at the top right corner of our site and follow the on-screen instructions. Gifts made using your credit card or PayPal account have the same deductibility as cash gifts. There are tremendous tax advantages when you gift shares of a mutual fund or stock directly to the Community Foundation instead of personally selling shares and donating the proceeds. When publicly traded shares are given to the Foundation, the donor deducts the average share price on the day it was gifted. The Foundation sells the shares and places proceeds in a new or existing charitable fund. Contact the Community Foundation office for the information needed to make a stock gift transfer. Securities gifts are typically deductible up to 30 percent of your AGI. See our stock gift illustration of the tax benefits of directly gifting appreciated securities. Eligible donors can make a direct transfer from their Individual Retirement Accounts (IRAs) and have it count towards their required minimum distribution (RMD). When your provider transfers directly to the Community Foundation of Shelby County to any permissible type of charitable fund, you may avoid having to recognize the transfer as income. Under current law, donor advised funds, including Gift Accounts, are not eligible to receive IRA Charitable Rollover gifts. However, funds where a donor does not have advisory privileges are eligible to receive these gifts. Eligible fund types include designated-use, scholarships, organization, and community granting funds. Contact Jessica Fortkamp at jfortkamp@commfoun.com for additional information. Your IRA provider may also outline steps you can take to request this type of transfer. Gifts of land can provide a deduction for the Fair Market Value of the property. Gifts of real estate are sold and the proceeds placed in a new or existing charitable fund. Farmland, primary or vacation homes, commercial buildings, or building lots are examples of real estate gifts. Before being accepted, real property gifts must meet requirements of our Policy and Procedures for Potential Gifts of Real Estate. Gifts of grain provide a tax-saving agricultural connection to giving. Give the Gifts of Grain letter to your grain buyer and make sure they know the amount of grain (unsold) you would like placed into an account for the Community Foundation of Shelby County. The Community Foundation will sell the grain and transfer the proceeds into a charitable fund you designate. See our gift of grain illustration for more details. For details about gifts, please refer to our General Gift Acceptance Policy. Check our Give Later section to learn about giving in the future from your estate plan or through gift instruments.